In Utah, whenever we told people that we were moving to Cincinnati, the first place they told us to visit was Tom + Chee. I’m not sure why this is the one place that Utahans know about in Cincinnati, maybe it has to do with the restaurant’s success on “Shark Tank” or “Man v. Food Nation”, but they were right. 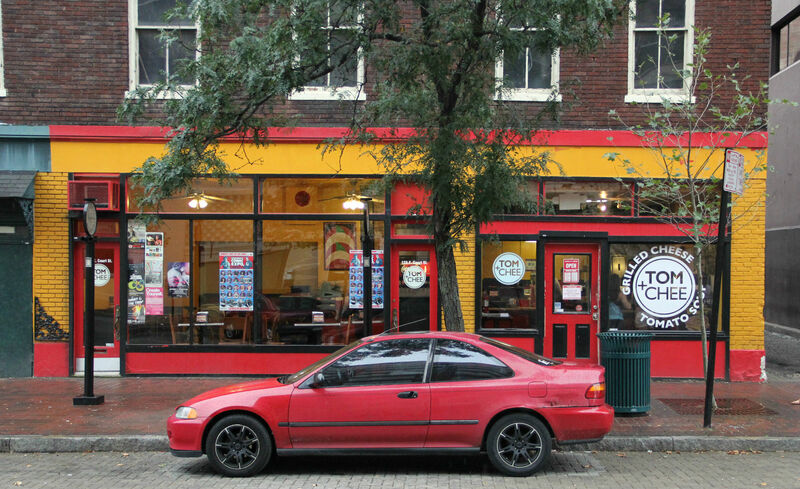 We’ve been before, but the delicious foodie weekend in upstate Ohio inspired us to drive downtown for another visit of Tom + Chee’s twist on two comfort foods. 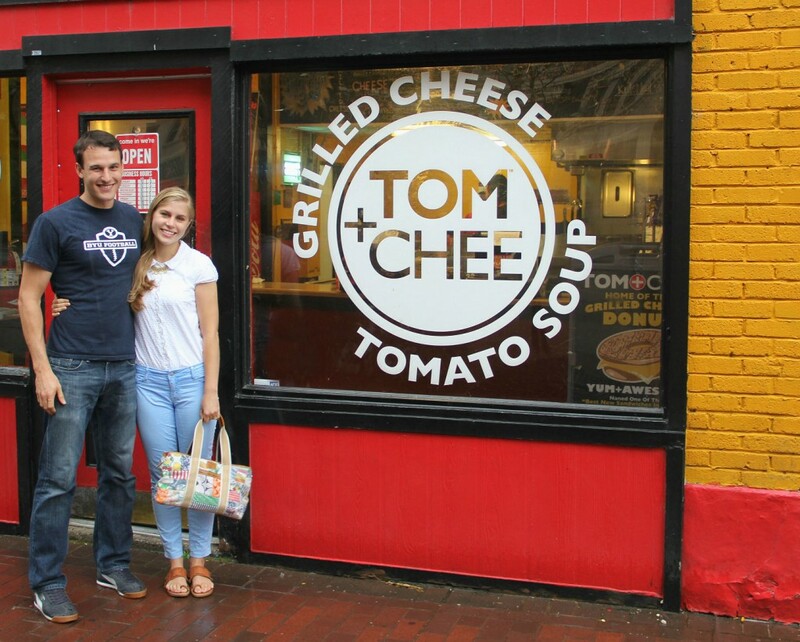 Tomato soup and gourmet grilled cheese sandwiches = Tom + Chee. I love this shot because it shows how bright and friendly the restaurant is compared to the rest of that part of the city. As we pulled up, the waiters ran out in the rain to tell us that we didn’t need to pay for parking. You can order a sandwich from the suggested lists (which are still handwritten in chalk keeping the family run feel) or create your own concoction.We opted for the Mac + Chee and the Flying Pig. Lastly, dessert: grilled cheese doughnuts. 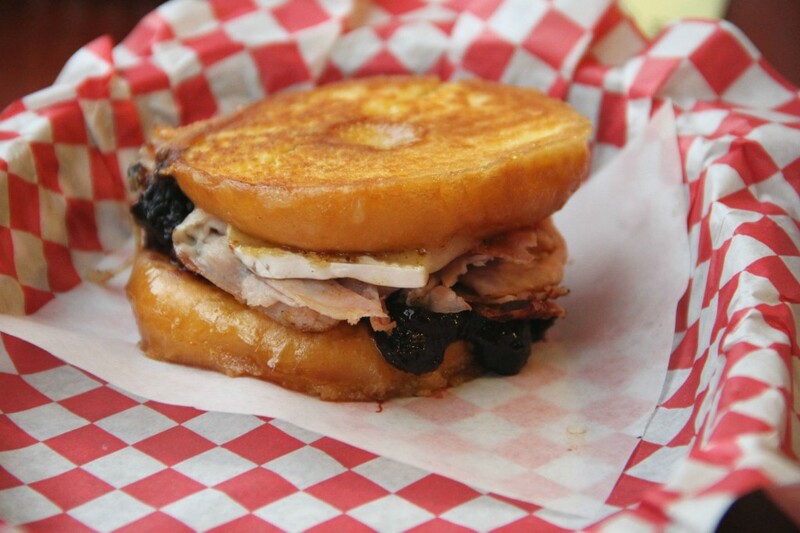 Barbara Blue: Blueberry Compote+Ham+Brie+Donut. A surprisingly delicious heart attack on a plate. 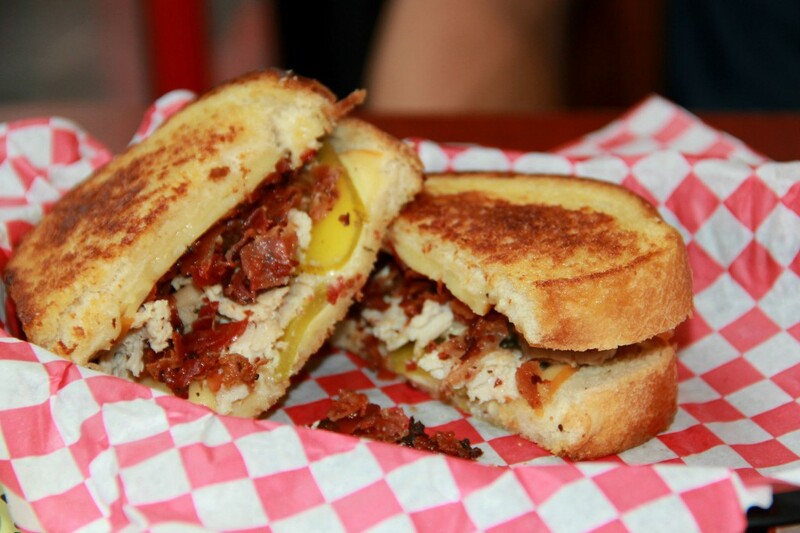 That donut grilled cheese looks amazing!! Haha! Audrey, I wholeheartedly agree! This looks heavenly- and perfect for the coming fall weather! Thanks, I’m pretty sure we will be regulars this fall! You too! I hope it was great! 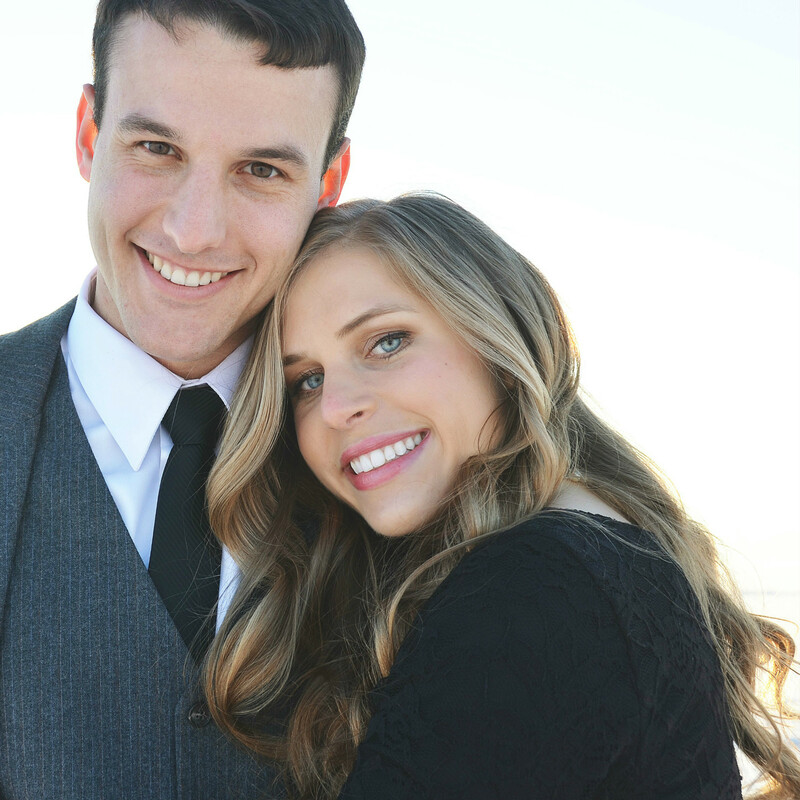 Oh my gosh! 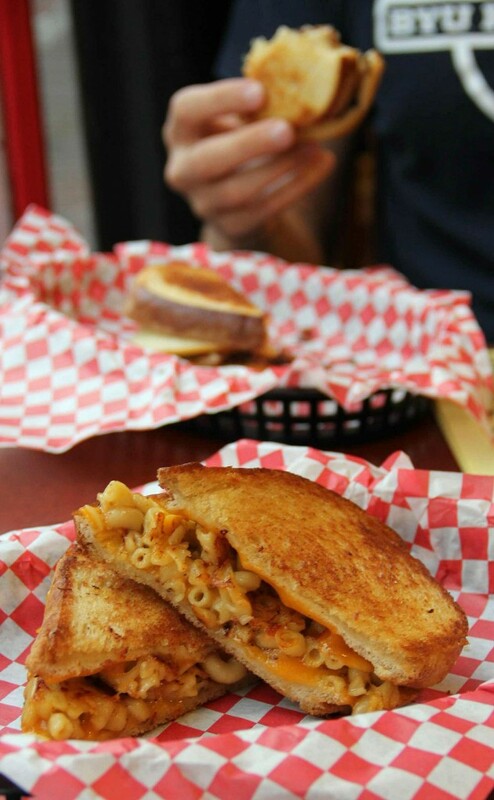 That Mac and cheese sandwich looks amazing! Thanks, it is! You should try it!